Perched on a hilltop, this lovely traditionally-styled villa commands fantastic views over the Mediterranean coast and surrounding mountains. Situated just a few minutes drive from the bustling Spanish town of Estepona, this spacious villa is the perfect base for a fabulous holiday. From the house, it's just a short drive to Bermuda Beach where a walking track can take you all the way to Sabanillas and the port of Duquesa. Also nearby is the Albayt Country Club with its fitness centre and paddling pool for toddlers. The villa is centred around a feature tower filled with original artworks and sculptures. The spacious and bright lounge dining area opens out onto the terrace and pool with built-in BBQ and al-fresco dining areas. The master suite has a super-kingsize bed, full en-suite bathroom and access directly to the terrace. The living areas, master suite and terraces are accessible for wheelchair users. Downstairs from the tower there are four more bedrooms, two with twin beds and two with doubles, and all with plenty of wardrobe space. There is a large guest bathroom and separate wc. Golf: Buenas Noches lies between a whole host of fantastic golf courses with Europe's number one course Valderamma and the equally stunning San Roque, Sotogrande, Finca Courtesin and La Reserva. There are many other great courses. Estepona GC is literally 5 minutes away. Nature: Buenas Noches lies within easy reach of a National Park which nestles beneath the mountain that flanks the house. The park offers opportunities to picnic amongst the pines and with views over the coast. The White Village of Casares sits at the top of the mountain offering stunning views across the coast and valleys and this is an ideal way to experience the culture and heritage of old Spain. I am an event producer with an office in London but I spend most of my time in Wales with my three teenage children when I'm not travelling for work. there are some clues around the house that point to my previous life as a professional musician. A very spacious property with the most spectacular views and only minutes from absolutely anything you could wish for a great holiday. The house is very well furnished with all utilities, high speed fibre optic WiFi and all TV and Sat channels inc Sport and Movies. AC is now installed in every bedroom and lounge/diner. I defy anyone not to find something to suit their personal tastes within a few minutes of the house. There are fantastic restaurants both traditional and modern. There are clubs and bars open until dawn and there are fantastic walks both along the beach and in the national park behind. Having said all that guests will never be troubled by noise or holiday revellers here, it is almost silent at the house. A Car is essential but how wonderful to return from a great day out to your own haven of peace with a lovely pool and the most fantastic views - cocktails on the terrace anyone? The master suite has an on - suite bathroom with power shower and bath. The large family bathroom has a power shower and bath and a separate power shower cubicle. The guest cloakroom is situated in the entrance tower at ground level. Heating on all AC units to bedrooms and lounge. Auto electric heaters in both bathrooms. Large lounge to surrounding terraces and spectacular views. Formal dining suite with table and chairs for 6 (can seat 8) inside and a big family table (8) plus small patio table and coffee table outside on the terrace. Sonos 5 top of the range WiFi Speaker which allows guests to play high quality music from their own devices (via their personal library) inc Spotify and Internet Radio. Various other music devices. Small and well maintained garden on lower ground level. Surrounding front and side with views over the mountain and expansive view of sea. The pool is not suitable for non swimmers as it is deep. There is an infant paddling pool at the nearby health club. There is a life saving ring on the pool wall. The house is at the apex of a hill so access for elderly or infirm would be by car. The entrance tower is accessible to a wheel chair as are the general areas of the villa, master bedroom and outdoor terraces and pool but 4 guest bedrooms are downstairs. The pool is deep and suitable only for children who are supervised. Just completed a week in “Villa Karma” WOW what a beautiful villa, superb location, totally unbelievable views. Can’t wait to sort out dates and return next year!. Trevor was brilliant and couldn’t do enough, Jenny was always there if we needed anything and both of them are fabulous hosts.. loved it. Thanks for your lovely words Chris it would be an absolute pleasure to welcome you again anytime. Lovely villa - has everything you need. A great size pool, fantastic views, 5 mins from good supermarket. The only holiday where we haven't found the need to venture out. Had a few minor issues re TV, toaster & electrics but all sorted extremely quickly via email & texts to Jenni & Trevor. Superb communication from Trevor from the start of the booking - thanks for sharing your villa with us. We do have minor gremlins’ occasionally due mainly to how busy the house is and the location and I’m delighted we were able to deal with them promptly. You’d be welcome back anytime. The best we have ever stayed in. What a view over the Med. A very beautiful property. Everything you require is there. 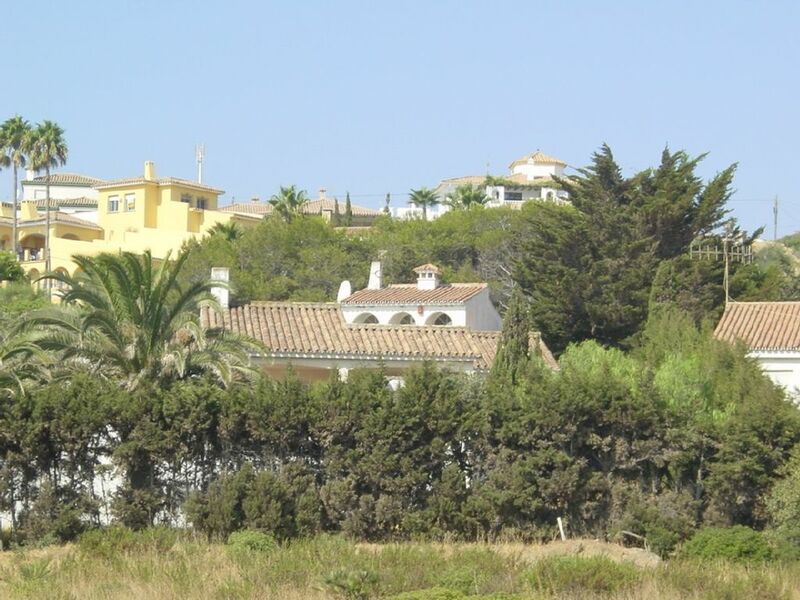 the villa was fantastic and I'd go as far to say, the best I saw in our part of Estepona. The views across the bay were magical. The amenities offered were superb, tv, wifi, video games and card and board games in the unlikely event of bad weather. Think the owner is a bit of a techno wizard. We had great fun in the swimming pool and two of our party didn't even mind working in the study. Plenty of room for everyone to find a quiet corner and the air conditioning was brilliant. The kitchen is very well equipped with supplies of tea, coffee, sugar and hot spices to hand. All in all, it would be difficult to find a better villa anywhere and we have been to a lot and we would thoroughly recommend this as a perfect escape. Thank you so much Trevor and your team. As I recover from blushing thank you so much. We do try to think of everything and the fact I’m a keen cook has influenced the kitchen equipment. Thank you for your lovely review. It was a pleasure to welcome you and I hope you enjoyed your golf. You’d be welcome back anytime. Thank you for choosing to stay for your very special wedding party. I hope the memories of Villa Karma will always play a part in your treasured memories. Buenas Noches is situated between Estepona Port and Duquesa Port close to the towns of Estepona and Sabinillas. The Villa is close to the beach and there are many golf courses nearby,The pretty white village of Casares is within easy drive with stunning scenery as you go up the mountain. The airports of Gibraltar and Malaga are serviced by numerous budget airlines. Marbella (and Purto Banus) and Gibraltar are equa distant to the Villa about 30 minutes drive. The house overlooks the sea on two sides and is flanked by the mountain. There are shops and restaurants nearby and the ports both offer bustling night life. The new motorway offers a fast alternative to explore further South towards Cadiz or all along the coast to Malaga passing Marbella, MIjas and Torremolinos. Shorter term rental E.G. 1 or 2 weeks with extended periods available subject to period. Standard terms of booking are 25% deposit on booking with balance payable 6 weeks prior to stay. In the event of cancellation deposits will only be returned if or when the dates are re let.The terms include everything with linen change half way through a 14 day stay and free Wi Fi but excluding beach towels.